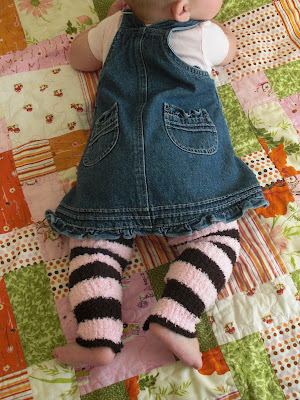 "Baby legs" -- super long socks with no feet -- are so popular right now. It seems that there are new versions and twists on this idea fairly often. Well today I will show you my ONE DOLLAR version!! I found this super-duper soft, extra stretchy scarf at the dollar store and knew immediately what I wanted to do with it! One scarf is all you need! 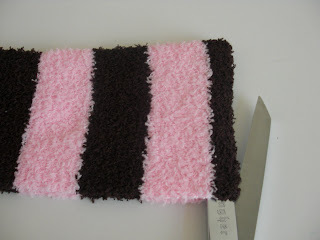 STEP ONE: Fold your scarf in half, lining up the stripes, and cut it in half right at the center fold. 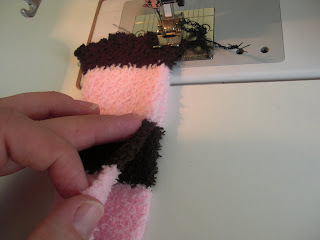 STEP FOUR: Using a zig-zag stitch and starting with your first scarf half, fold it in half lengthwise and sew all the way down the long edge. Don't forget to backstitch! 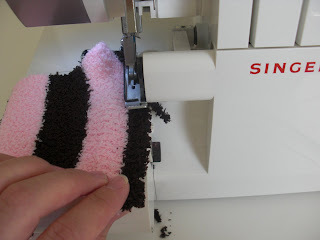 You may need to push it along under your sewing machine foot, but mine fed through pretty easily with just a bit of guidance. Check to make certain your stripes are matching as you go. STEP FIVE: Backstitch at the end, and check out how long and skinny it is! 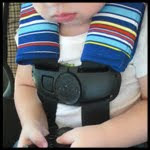 Are you worried it will never fit your baby's chubby legs? If I can get it on my arm, you can get it on your baby's leg! I can also see these on an older child or tween (or even me!) 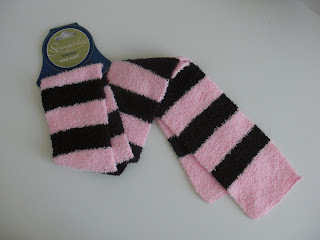 as arm-warmers, which are also very popular right now. These will keep you quite warm -- perfect for colder weather when it's too warm for a jacket but too cold for going without! This girl's going to the dollar store...TODAY!!! Thanks for the GREAT idea!!! wow! Who knew that a scarf would stretch that much?? What a cool idea! I love it! I think I need to head over to the dollar store to see if they have any cute scarfs...thanks! Love this idea!!! My SIL has a baby shower this week, so the timing couldn't be more perfect! Thanks for sharing!!!!! So cute! 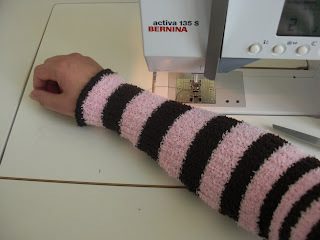 I did make arm warmers with a DS scarf last year... I love stripes! Such a cool idea!! LOVE this! No freaking way! I was in my dollar store over the weekend, saw the exact same scarves and had the exact same idea!!! Those are the cutest leggings I have seen. Too cute! I just went to Target and grabbed some similar scarves from the dollar area at the front of the store! How long was your scarf to begin with? So cute. These will be perfect for my 4 mos old! Can't wait to give it a go... now to find the perfect scarf. You're a genius! 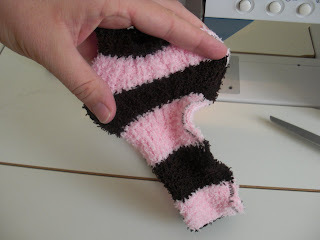 What a fantastic idea, I like these more than the babylegs from socks. These will be perfect for my baby this winter. Thank you for the awesome tutorial! 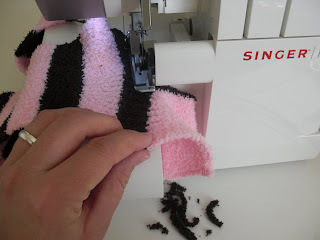 I tried these and I don't have a serger but I did the zig-zag with shot stitches and it worked great! They are sooooo adorable. I posted my project at http://edensflowergarden.blogspot.com/ if you would like to see! WOW!! Thanks for the great tutorial. Will definately try this one!! Very cute and a wonderful tutorial!!! I love this! What a fun and simple idea. I'm interested in the quilt in the background of the top picture. Did you make it? What pattern did you use? What fabric? It's really lovely! Thank you for the non-serger instructions! I appreciate you taking the time to leave a comment on my blog letting me know someone tried it. :) I can't wait to try it! Saw your idea on u-create and went to the dollar store today and found the same scarves! I love the idea! I will give you credit when I finish. My blog is: www.pendletonfam.blogspot.com. Thanks! And I will try zig zagging mine too since I have no serger! This is such a great idea! Seems like everybody I know is having or has had a baby this year so this will come in handy. Thanks for sharing! 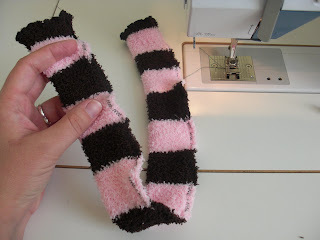 Could you use 2 scarves and make adult legwarmers? Hoping to copy this idea and use on post a link on my blog. Thank you! Thank you so much for the info on the quilt. 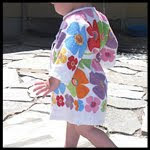 I'm just getting into quilting and I love collecting great patterns/ideas for "someday." Thanks! And, now I'm off to check out all your readers' versions of this project! My ten year old's legs aren't much bigger than my arms. They might work for her too. 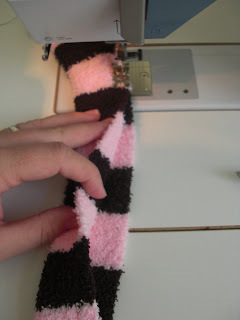 Great tutorial, but I'm concerned that the seams will both the wearer... how comfy/soft do they end up being? love it but i think i am in love with the quilt more!!!! SommerNyte, I don't think the seams will be a comfort issue unless you've really crammed someone way too big into them! What a fabulous idea!!!!! Thanks for sharing! Sweet! Thanks for the tutorial! 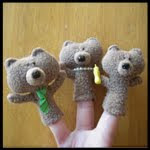 I am totally making those this winter! I made these this weekend. I don't have a serger so I used a zigzag stitch. They are adorable! I bought the scarf in several colors. The purple and black ones are perfect for my 8 year old's witch costume! I'll put up a photo on my blog tomorrow. ADORABLE!!! Thanks for showing us how it's done. I've made a ton out of knee socks, but I'm definitely digging this version. I'll have to stop at the dollar store next time I'm in town! I linked to this on my weekly roundup (post can be found here) - thanks!! I stopped by and bought ever color scarf they have so I can make my girls some! Thanks so much for the idea! I made a pair for my daughter. 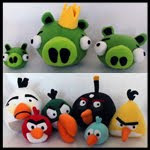 I made them.. for me!! I needed new wrist/arm warmers for halloween. Also, the purple/black scarf matched my daughter's witch costume so I made a pair of leg warmers for a 6 year old. LOVE IT. Heading back to get more now.. i'm hooked. I sooo wanted to do this, but none of my dollar stores have scarves and I can't seem to find anything similar anywhere else. Probably cause I live in FL and we wear scarves once or twice a decade. Cute! Thanks for the tutorial~! 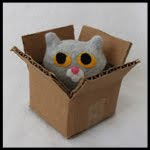 I linked this post on my new craft blog at www.aloadofcraft.blogspot.com - thanks so much for the tute!! I used the zig zag method & it worked great. That is an awesome idea! I am going to have to make some for my 2yr old and my 17 yr old! 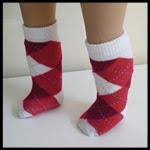 I also made some baby legs for my daughter, but I used those extra long socks for adults they sell at the dollars store; just have to cut the feet off and sew the bottom! I like this better than turning knee socks into baby legs! This is awesome! Thanks so much! I featured you on my blog! is there anything you can not do?